Feel free to test our new tool - a live chat widget for providing customer support Chater.biz. 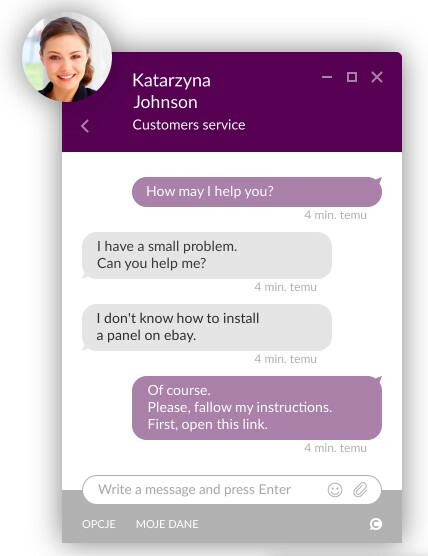 The chat is super easy to install in your online store or Allegro and eBay auctions..
Livechat is the perfect add-on allowing for swift customer support. A sample Chater implementation can be viewed on one of our customer’s sites, who uses it both for Allegro and his store.